In 1945 John Dramm invented the 400AL Waterbreaker. Designed to offer a soft, aerated flow for watering plants, this invention sparked a revolution in hand watering. Since then, Dramm has offered innovation after innovation in hand watering. From specialized nozzles like the 1000PL Redhead and the 350PL Scree-Aire to durable, high flow valves, the Dramm Corporation offers a wide variety of specialty nozzles for the professional grower. With over 65 years of experience in watering in horticulture, we have learned one thing, teaching someone to water properly is a difficult task. Watering in the greenhouse is as much an art as a science. We have created a series of videos offering training and tips on hand watering in the greenhouse. 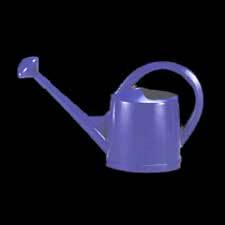 In the future, we plan to offer more watering training videos and would welcome your suggestions. Our second video on our series on hand watering describes the different tools available and suggests uses for each nozzle and valve combination. For our offering in Europe please click here. Individual products are detailed below. Please scroll down for a full listing. 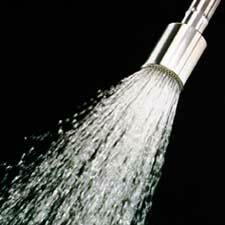 The original full-flow shower head nozzle. 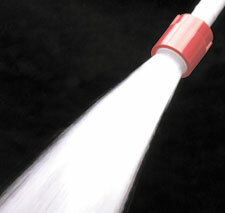 Dramm's aluminum 400 Water Breaker provides fast, full-flow watering without damage to your plants or disturbing soil. Used and recommended daily by professional growers worldwide. Cast aluminum and hand machined with 3/4 inch brass hose threads. Invented, designed and manufactured in the U.S.A. since 1945. The 170AL Water Breaker is excellent for watering in areas with low water pressure or with systems which restrict total water volume. 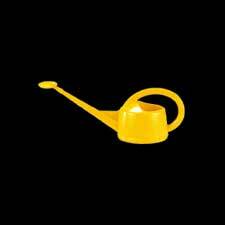 It is designed for small containers (hanging baskets), and when using fertilizer syphons. Adjust water flow to 50% of its possible volume. Cast aluminum with 3/4 brass hose threads. Manufactured in the U.S.A. The 400PL With Protective Ring returns to our familiar Blue color but with the additon of our black protective ring. This ring prevents damage by absorbing and transferring blows around the disk. 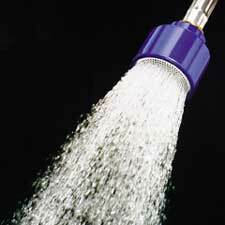 The 400PL Water Breaker provides fast, full-flow watering without damage to your plants. Patterned after the original 400 Aluminum water breaker , the 400PL is made from high-impact ABS plastic and aluminum to provide a lightweight alternative. Used by professional growers worldwide. Made in U.S.A. 3/4 hose threads. Patterned after the 170 Aluminum water breaker, the 170PL is an excellent choice for watering in areas with low water pressure or with systems which restrict total water volume. It is designed for small containers (hanging baskets). Adjust water flow to 50% of its possible volume. Made in the U.S.A. from ABS plastic. 3/4 hose threads. 480 Plastic Water Breaker. Stainless steel disk. Micro-fine holes. Focused Pattern. 480 Aluminum Water Breaker. Stainless steel disk. Micro-fine holes. Wider pattern. The Screen-Aire Water Breaker is designed to water nursery containers with a gentle, concentrated aerated flow of water. A fine-mesh screen and an array of internal components combine air and water to produce a very soft, unrestricted spray. Use a Dramm In-Line Hose Filter to keep the nozzle from clogging. Made in the U.S.A. 3/4 brass threads. The 1000PL Redhead water breaker has over 1,000 micro holes that create an ultra-soft flower shower which will not disturb delicate soil or harm tender plants. Use with a Dramm In-Line Hose Filter to prevent clogging. Made in U.S.A. from ABS plastic and stainless steel. 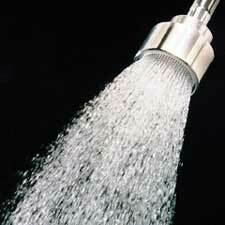 The 750PL Water Breaker has 750 micro-holes for a fine pattern with a slightly reduced flow rate. 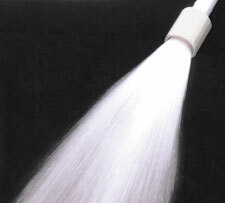 The 750PL is perfect for light watering with a very soft pattern. Wider pattern. The Dramm In-Line Hose Filter is for use with any Dramm hose nozzle, but highly recommended for the 1000PL Water Breaker and the 350AL Screen Aire. A stainless steel 175 micron (80 mesh) screen filters out unwanted dirt and debris. 175 micron element for the ILF-175. 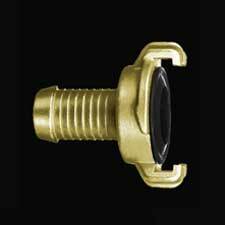 The Brass Hose Swivel is a live swivel that allows for unencumbered movement between the hose and attachements under pressure. Reduces hose twisting. 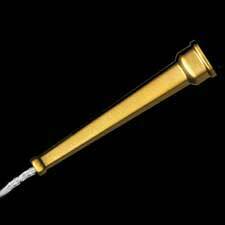 Our Brass Rose features an extra wide spray pattern, which allows you to increase the speed of hand watering. Available in a 4-inch diameter. 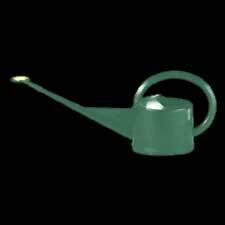 Great for watering bedding plants, pots or market packs. 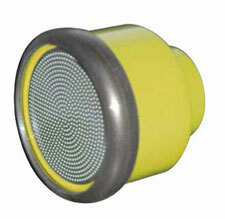 540B includes protective rubber guard and metric to inch hose thread converter. Made in Germany with 3/4 hose threads. 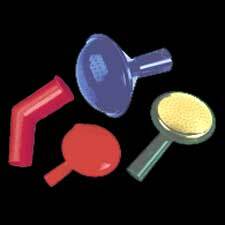 The Dramm Plastic Fan Nozzle offers a medium flow in a rectangular pattern. Perfect for flats and plug trays. 79001 5-7 gpm @ 40 PSI 2.7 oz 12 5 lbs. 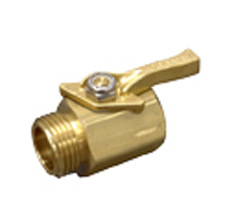 The 6 Brass Wash Down Nozzle is a high-pressure nozzle perfect for washing down walkways or any area needing a quick cleaning. Made from heavy-duty cast brass. 3/4 hose thread. 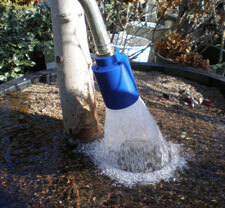 The Seedling Nozzle allows you to water fragile plants, delicate seedlings or plant cuttings. 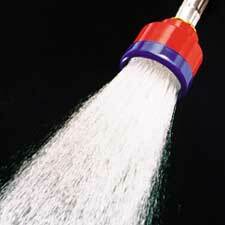 This high-quality nozzle produces an extra fine, hollow cone mist pattern and sprays 1/2 gallon of water per minute. Made in the U.S.A. from solid brass. 3/4 hose threads. 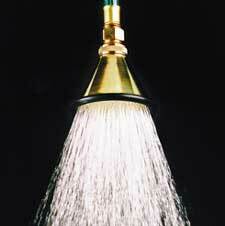 The Fogg-It Nozzle is designed for misting delicate seedlings or for raising humidity around wilting plants. 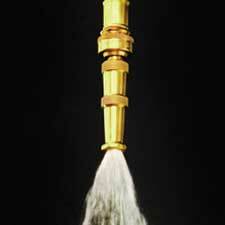 This nozzle has three mist jets which create a conical spray pattern. Available in 4 different discharge rates. Made in the U.S.A. from solid brass. 3/4 hose threads. 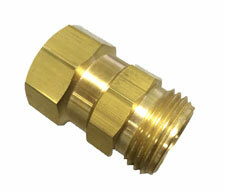 Available in 4 different flow rate sizes. 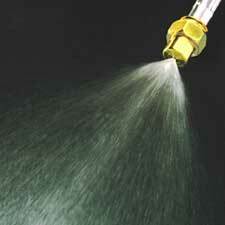 Our Adjustable Hose Nozzle is great for cleaning walkways, benches, equipment... just about anything! 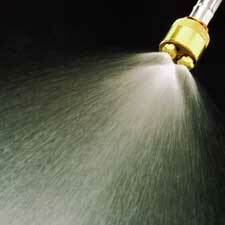 Twist the barrel to adjust the water pattern from a fine, cone-shaped spray to a powerful stream. Twist the barrel back and the water is off. Manufactured in the U.S.A. from brass. 3/4 hose threads. Syphonject - plastic siphon mixer. Our 20:1 ratio feeder syphons solution using a pressure drop created by the passing stream of water. 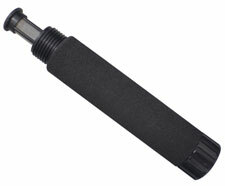 The Syphonject is made from glass filled polypropylene and is very durable as well as corrosion resistant. An external check valve ensures that water does not fill the solution source and is easy to replace. The Syphonject is perfect for fertilizing and cleaning. 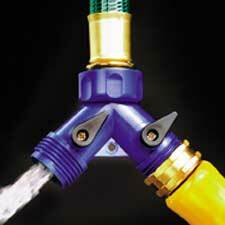 The Handi-Grip Handle provides comfort when watering directly from your hose. It is also perfect for using with the Brass Rose or any of the Dramm Water Breakers. The six inch long grip is encased in a padded foam grip. Made in the U.S.A. from aluminum and brass. 3/4 male and female hose threads. 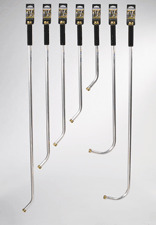 Handi-Reach Handles are designed to eliminate the stretching and stooping associated with hand watering. Available in 16, 24, 30, 36, 48, 60 and 72-inch lengths, these rugged tools allow you to water hard-to-reach areas with ease. Made in the U.S.A. from extruded aluminum tubing, forged brass hose couplings and a comfort EPDM hand grip. 3/4 male and female hose threads. Hanging Basket Handles offer a 90_ curve in the top of handle so you can water directly into a hanging basket. Available in 36 and 48-inch lengths, Use with any 170 series Water Breaker to water hanging baskets and window boxes. Made in the U.S.A. from extruded aluminum tubing, forged brass hose couplings and a comfort EPDM hand grip. 3/4 male & female hose threads. 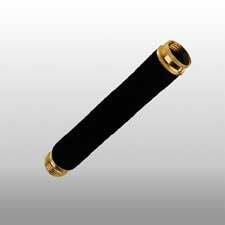 The Hose Protector saves hose ends from unnecessary stress and strain. 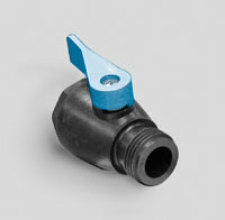 Utilizing a spring wound around a short length of hose, the Hose Protector connects between the faucet and your hose to prevent hose-end kinking and damage to hose couplings. This handy tool is made from zinc plated steel and heavy-duty, nickel plated brass. The Hose Protector has a 5/8 inch inside diameter. 3/4 inch male & female hose threads. 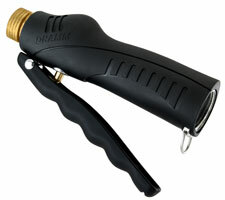 The Hose Extender is a flexible 24 extension of your hose which can be used with any Dramm water tool. Great for hand watering! Just place our Brass Shut-Off on one end and a 400 Water Breaker on the other. Made in the U.S.A. from reinforced synthetic rubber and heavy-duty brass 3/4 connections. 5/8 inside diameter. The 625 and 675 Twisty Quick are 1/4 turn quick disconnects with hose barb fittings for use with blunt cut hoses. Secure hose to the fitting with a hose clamp (not provided). Can be used in any combination with 775M and 775F Twisty Quick. Made in Germany from forged brass. 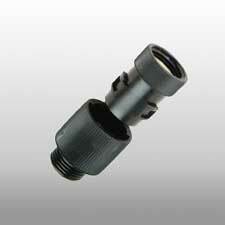 Order item 625 for 5/8 ID hose or item 675 for 3/4 ID hose. The 775M & 775F Twisty Quick are 1/4 turn Quick Disconnects. Makes any threaded hose connection easy to couple/uncouple. Can be used in any combination with 625 & 675 Twisty Quick. Made in Germany from forged brass. 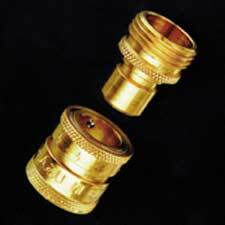 775M - 3/4 male hose thread, 775F - 3/4 female hose thread. Twisty Quick-- plastic quick connect hose adapter. Full water flow design. Our patended design is made from heavy-duty plastic. 3/4 male and female hose threads. Sold as a pair only. 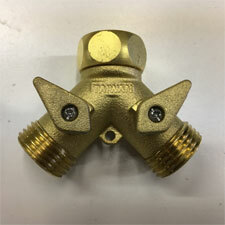 The 740 Brass quick connects offer full flow without water-stop. Made in the USA. 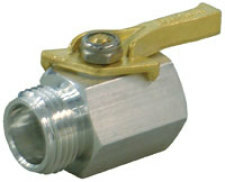 The QAV Valve is designed as a high-quality, lower-cost valve. Made in the USA, the QAV uses a unique, patent-pending design to improve strengh and quality while reducing assembly labor. Water two places at one time with the 235 Twin Shut-Off Valve! Connect the valve to your faucet to create two male connections-- with each connection independently controlled. A quarter turn of the handle and the water flow is shut off. Molded from high quality ABS plastic. 3/4 male and female hose threads. Water two places at one time with the 235 Brass Twin Shut-Off Valve! Connect the valve to your faucet to create two male connections-- with each connection independently controlled. A quarter turn of the handle and the water flow is shut off. Cast brass with a female swivel for easy attachment. 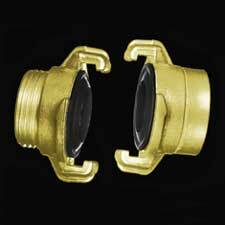 The 74 Shut-off valve is made from glass fille polypropylene to be very durable and corrosion resistant. 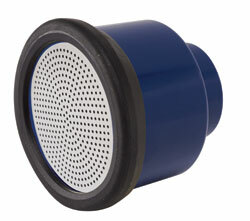 More durable than other plastic valves, the 74 is lightweight and offers a full flow. Simply the best shut-off valve available. 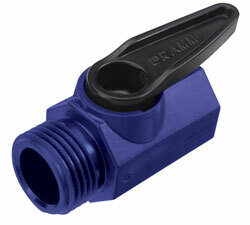 Dramm's #300 Brass Shut-Off Valve provides fingertip water control at the end of your greenhouse hose. A quarter turn of the large ergonomic handle and the water is off. Full water flow design. Made in the USA from brass, durable seals and a hard chrome plated ball to provide years of service. 3/4 threads. The Handle repair kit replaces the forged handle only. The Full repair kit replaces all internal components and the handle. The 300AL is exactly the same as the 300 Brass, but made from machined aluminum. Lighter weight that its cousin, it is just as durable. Depending on water quality and other fittings used, corrosion may result. The 65 Touch N'Flow Pro Trigger Valve offers durability and high flow in a trigger valve. With 11 gpm output and a long life, the 65 TNF Pro allows for flexibility when watering. 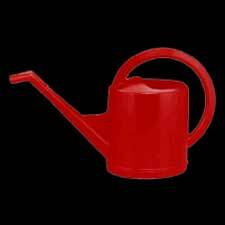 The unique spout design and excellent balance make this watering can perfect for indoor use. Houseplant watering is easy with the far reaching spout. Two liter (1/2 gallon) capacity. Complete with a detachable plastic rose. Made from high-grade, durable plastic in red, yellow, green, and blue. Made in USA. Our 5 liter watering can features an extra long spout with a brass rose. The rain-like water pattern arches upward and softly falls upon plants. This gentle sprinkle is unequaled for applying fertilizer to foliage. Detachable brass rose included. Available in red, yellow, green, and blue. 1 1/3 gallon capacity. Made in USA. Designed for and used by professional growers for over 100 years. Now manufactured from 1/8 injection molded plastic so they won't rust, leak or corrode. Available in red, yellow, green, and blue. Perfectly balanced for indoor and outdoor use. Comes standard with large plastic rose. 1 3/4 gallon capacity. Choose either jaw size to fit Dramm ColorStorm hoses. Either jaw fits the DrammPress (sold separately). 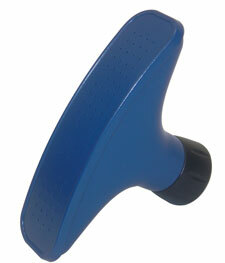 The One Touch Valve offers thumb-tip control of your water flow. 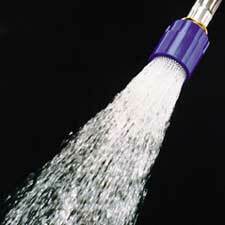 With 8 gpm output and a long life, the OneTouch Valve offers flexibility when watering. The OneTouch HighFlow valve offers the same, fingertip control of your watering, but with up to 16 gpm.